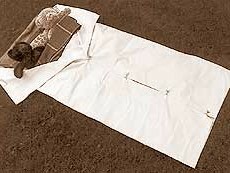 The Tipi Door Cover is a piece of canvas made to attach to the bottom lace pins just above the door of the tipi. There are three pockets sewn onto the door cover so small poles or slats of wood can be put in to keep the door cover in place so as not to fall into the door opening. 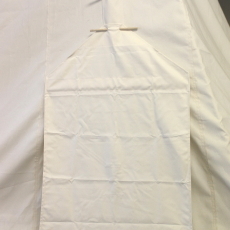 There are two sizes of Tipi Door Covers. 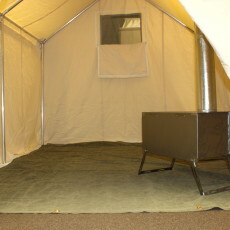 The 9′-20′ measures 41″ x 63 1/2″ and 22’+ Tipi Door Cover measures 45″ x 75 1/2″.